I know, I know, I said I wasn't doing NaNoWriMo this year. But you know what? I caved. Sort of. See, NaNo is pretty fun, and I do really enjoy doing it. 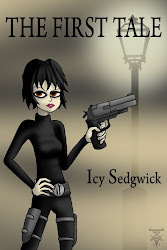 Sure, I wasn't happy with the noir superhero novel I wrote last year, but in the process of writing it, I learned a lot about one of the lead characters in my Vertigo City steampunk universe. Win! Problem is, I'm not sure I have the time this year to devote to a full project. So, I've proposed something of a solution to myself. 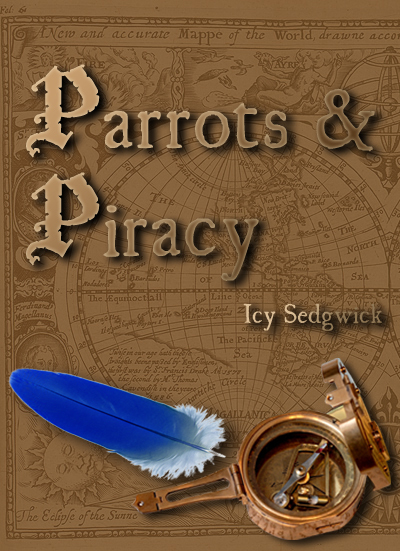 Instead of blazing ahead with the paranormal/horror novel I've had bubbling away in my brain for a while, I'm going to work on the short stories I promised months ago for the Parrots & Piracy collection. I've already got the ideas for at least six stories, and ideally I'd like to hit the 50,000 word mark with what I write in November. Yes, I'm well aware that NaNoWriMo stands for National NOVEL Writing Month, but considering it's no longer simply national, I think I can be forgiven for bending the rules a teeny bit. 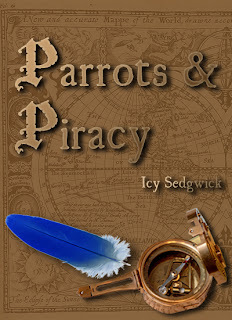 If you're at all intrigued, you can find links to all my existing Parrots & Piracy stories over on my website, and hopefully they'll whet your appetite for the new stories. With any luck, I'll get the collection written by Christmas. Of course, if you have anything you'd like to see in future stories, leave me a comment and I'll see what I can do! Love the P&P picture here! Good luck Icy! Best of luck to your writing efforts! I'm not crazy enough to try Nano & raise a grandkid, hold down a dayjob, and support a pack of ravenous inlaws. Good luck. 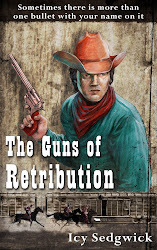 I also considered working on short stories, but there's a novel I'd like to get done first.